Acclaimed models Can Muhammed Karagoz and Gio Delavicci traveled from New York to Dallas for a very special event with stage 4 patients. DALLAS, October 10, 2018 – Say YES to Hope co-founder Suzanne Lindley and international designer, fashion mogul and Dallas resident Samina Mughal, owner of SMGlobal Catwalk partnered to share that stage 4 cancer, a disease that cuts too many lives short and carries a stigma of fear and uncertainty can be lived with courage and beauty. This special event allowed stage 4 cancer patients to, for a night, exchange chemo and cancer for the glitz and glamour of fashion. Samina lends her international platform for survivors to model and Suzanne brings stage 4 patients to share their stories, creating an empowering night where fashion and philanthropy collide. Six stage 4 cancer patients fulfilled a dream of modeling in SMGlobal Catwalk Dallas Revolution Friday, Oct. 5 at The History of Flight Museum in Dallas, Texas with the help of international fashion models Can Muhammed Karagoz and Gio Delavicci, who flew in from New York. Gio and Can gave runway tips before the show and helped with the walkthrough so that everyone felt ready. As many of the survivor models are in active treatment, and have even undergone recent surgeries, the assistance up the stairs and a steady shoulder from Gio and Can as needed was reassuring. The duo has had an active role in each of the survivor showcases and is as much a part of the excitement and anticipation as the catwalk itself. Darla Rodgers shares, “My feet never touch the ground with them on my arm, what light they bring in all the darkness.” Along with quiet charm, they have impressive backgrounds. 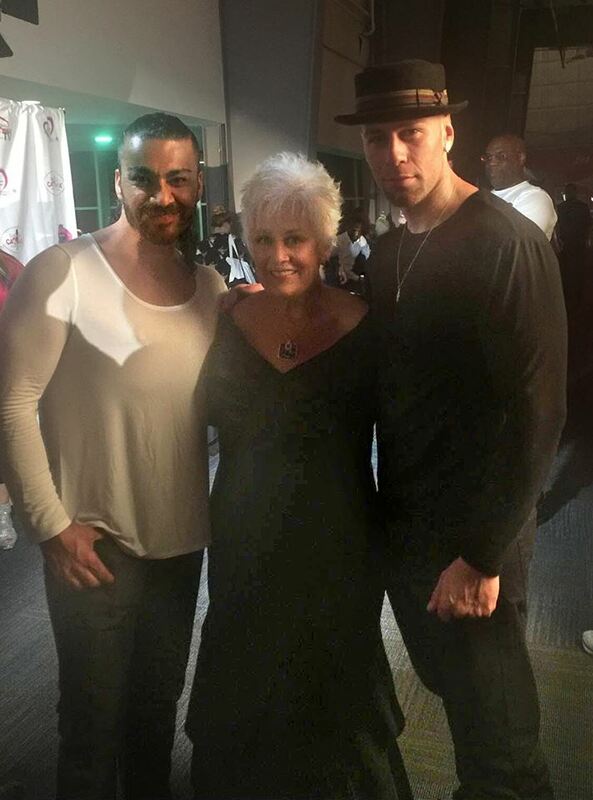 Can is a well-known Turkish-American performer and instructor of many Ballroom and Latin dance styles who is teaching in New York, New Jersey, and Connecticut areas. He earned his Bachelors’ degree in Physical Education & Sports; he is a certified Personal Trainer & Nutritionist as well as a certified group fitness instructor. Can is also an actor and a professional runway and print model who was 2016 Best Fashion Model of the Year Finalist. He has been featured in New York Fashion Week as a runway model for well-known designers and nominated as 2016 Best Male Model of the Year. Say YES to Hope and SMGlobal Catwalk are proud that Gio Delavicci and Can Muhammed Karagoz are lending their time and talent to create awareness about advanced cancer and to allow the survivors to show that it is possible to live fully with cancer. Gio was Male Model of the year 2016, 2017, 2018, Best Cover Model 2018, received Appreciation of Inspiration Motivation Award from the Angelic Halo Foundation, awarded Certificate of Merit from the New York State Assembly Proclamation from the Senator of NY Kevin S Parker for great accomplishments in modeling, acting, community service and has appeared in movies and television including The Post, You Were Never Really Here, Creed ll (coming out on Nov. 21), Quantico, Law & Order SVU, Orange is the New Black, Power, Blue Bloods, The Blacklist, Luke Cage, Shades of Blue, and Blindspot. Everyone is looking forward to the next show. The “Surviving in Fashion” showcase with Say YES to Hope and SMGlobal Catwalk will take place in New York City during New York Fashion Week. Information on upcoming SMGlobal Catwalk shows can be found at SMGlobalCatwalk.com. If you have stage 4 cancer and need a FRIEND for the Journey or support, please contact Suzanne Lindley at 877-937-7478.